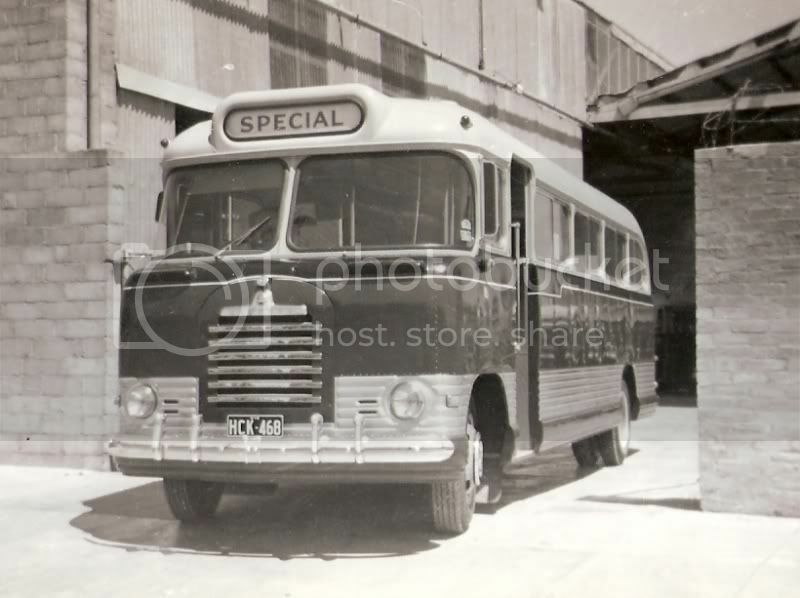 In 1955, Bedford increased the wheelbase for the SB to 216 inches, enabling a longer body to be fitted as standard, with a normal transverse seating pattern accommodation of 35. It was marketed here as "the Big Bedford". As well, the petrol version was given a new chassis name, the SB3. In Britain, the Perkins engined diesel version (found to be unsatisfactory because of continuing problems with the Perkins R6 engine) was replaced with Bedford's own diesel engine in 1957, the SB1. Who knows why the "1" came after the "3" or indeed, what happened to the "2", but there you have it. It was to be confounded by a GMH body style nomenclature, as we shall see. Just what is pleasing to the eye for one person and not another will be debated forever and a day. 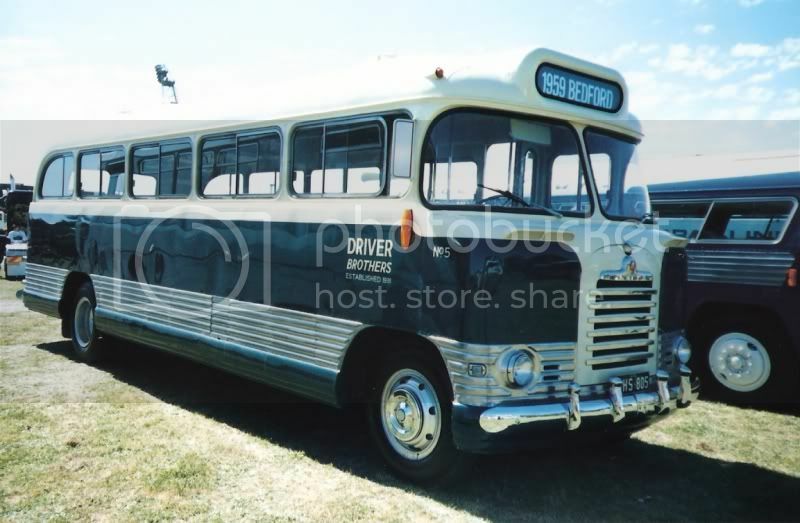 I would have to say, that I have regarded the curved screen CAC SB3 as one of the most attractive buses produced. We do some silly things as enthusiasts, and I am no exception. As a boy, I would wait for flat screens to pass by in order to catch a curved screen, or even better, for an OB to turn up. No doubt, there are others who loved the flat screen just as much. Vive la Difference! The last two photographs were taken by me. Photos 1 and 5 come from the Graeme Turnbull Collection, the rest come from the John Masterton Collection with pics 2, 3 and 6 taken by Bruce Tilley, pic 4 being an official CAC picture, pic 7 taken by J Curran and pic 8 taken by JM. Last edited by system improver on Wed Jul 11, 2018 2:45 pm, edited 5 times in total. Well Done on another excellent Thread!!!!!!!! i am waiting for future parts with anticipation. 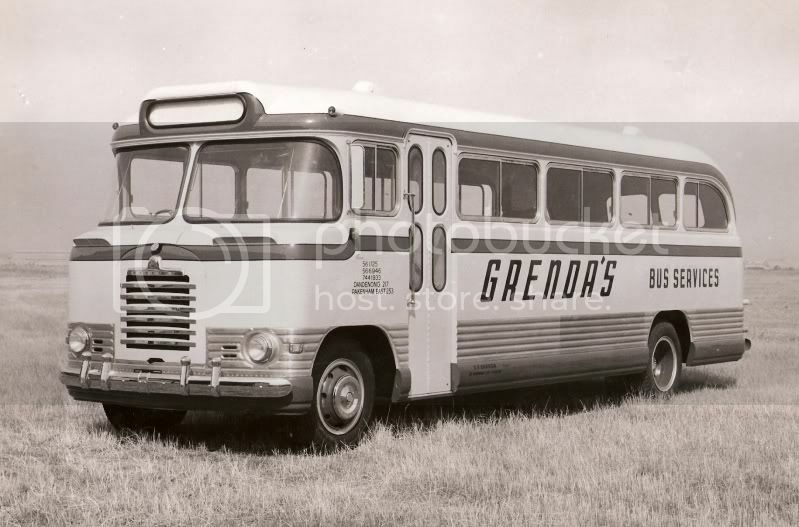 I should add that Grenda's Bus Service operated the largest fleet of this CAC type with 17, being 15 new and two almost new (one from ESOS and one from Camden). 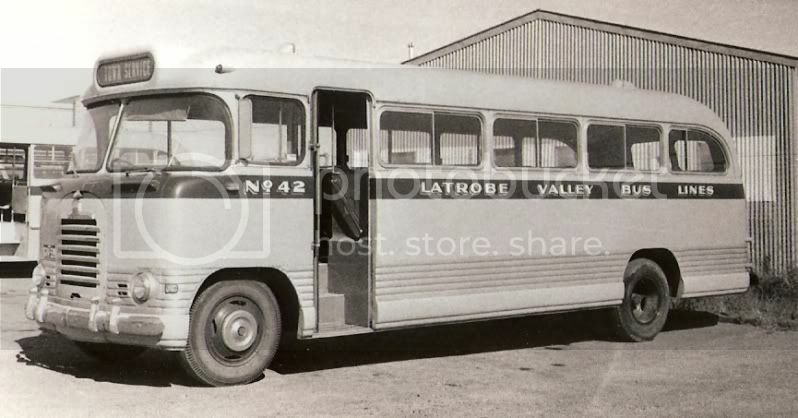 Benders acquired 12 of these new in 1960 mainly to service the Shell Refinery in Corio, Latrobe Valley Bus Lines purchased ten new curved screens and Ventura took seven. 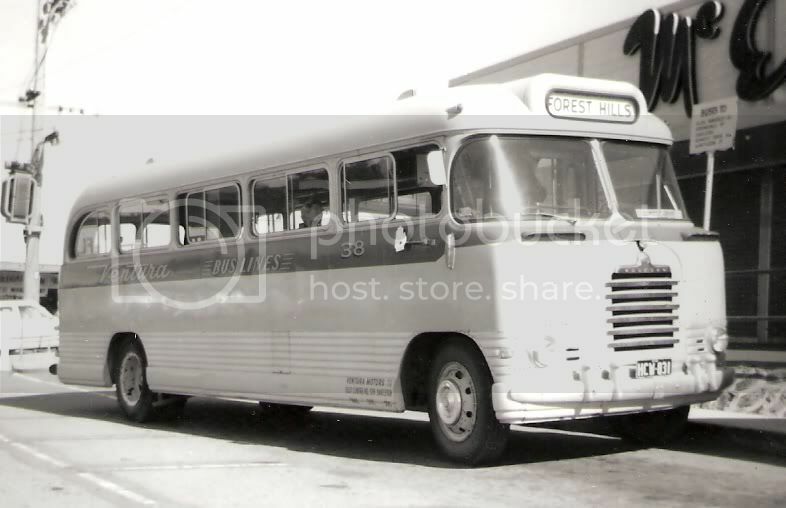 Quite possibly the Defence Forces took even more, but the records of the pre Bus Sales purchases through GMH, as mentioned in Parts 1 & 2, are incomplete. beddy wrote: Well Done on another excellent Thread!!!!!!!! i am waiting for future parts with anticipation. 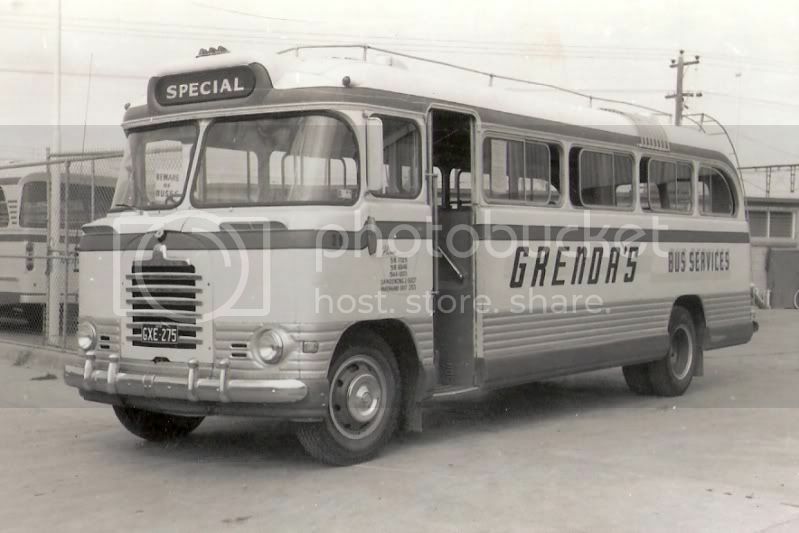 As AEC Decker used to live in Sydneys' Eastern Suburbs, he didn't see many Bedfords apart from the J. Bowden Bedfords operating the Tamarama - Town Hall City route 79 service and the occasional streamlined(?) 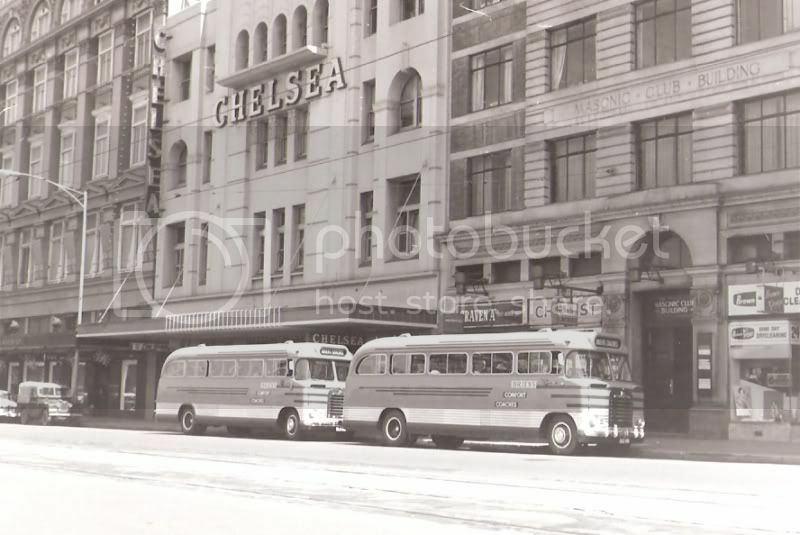 looking "bathtub" Bedford late in their life with a Church group or privately owned. I agree with comments so far and as well these take me back to when I used to travel to school on one of Ivanhoe's ,ah the sound of the motor , the smell of the petrol fumes usually mixed with the smell of cigarettes. 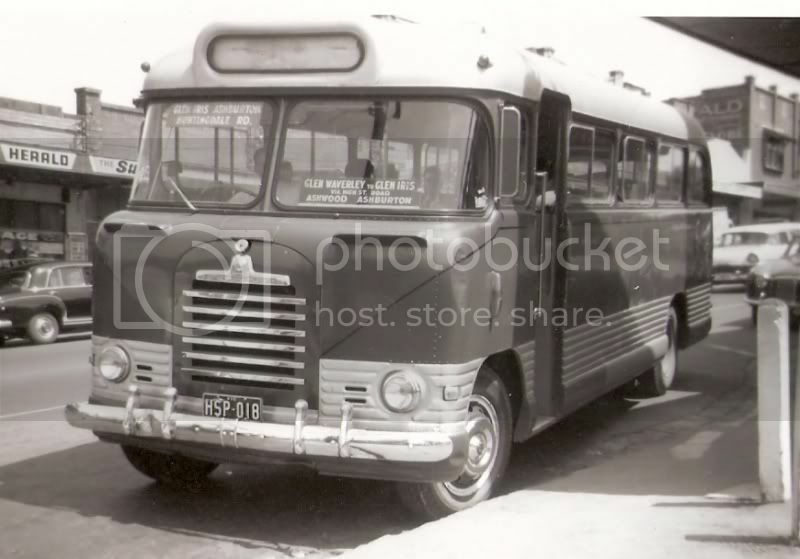 They certainly were a good looking bus , a style ahead of its time. Keffords have one in the throws of restoration at the moment down in the Bender's depot. It's going to be restored in Sitch's colours. Carter's one and only curved screen as seen earlier (HSP 018) did not start it's life in the Carter fleet well. It couldn't cope with a full load on the hilly Glen Iris - Glen Waverley route and had to be taken out of service during peak periods until the engine was over hauled. 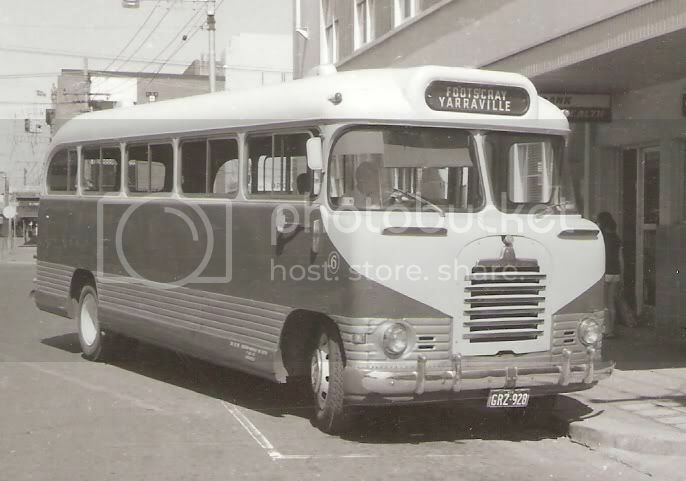 The photo shows the bus still in Campbell's livery prior to being repainted in the Carter colours which were only standardised in the last 12 months or less prior to selling to Ventura. The Carter fleet was all hand painted by brush, a lot of the work done by some of the drivers over school holiday periods. At the time of the sale the fleet colours were red, white stripe below the windows, white windows and silver roofs. The only exception was the one and only Comair HLC 484 (later Ventura no. 59) which was cream with burgundy striping and had been professionally painted. 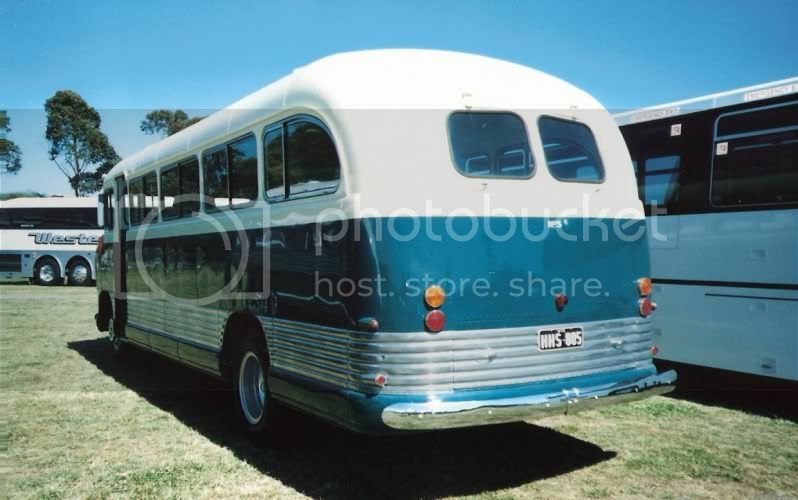 I believe that the late 50s Campbell's livery was silver roof, yellow or cream body with a green band extending over the windows and green skirt. Based on pics that I have, number 58 seems to have been painted red in place of the Campbell's cream. Number 56 was also painted in this style but with a cream roof, instead of the silver roof, around early 1963. As you say, they both finished without green and with a silver band in 1964. I (wrongly) assumed that was how it came because of the green and silver parts, I thought if it had been painted they would have done it all. They must have got the paint brush out and given the cream part a coat of red or maybe on that occcassion they had it professionally painted - they must have done it very soon after purchase as I'm sure I'd have remembered it being cream as I travelled on carter's buses every school day. I remember 56/GLO was given the green treatment as well.